The world's largest third party video game publisher is set to rejoin the ranks of the ESA after leaving in 2008. Activision Blizzard, along with newcomer Tencent, will bring the membership of video gaming's largest lobbyist group to 37 companies. Tencent, a relatively smaller company who owns a stake in Epic Games, seems like an easy choice for allowed entry, but why is Activision Blizzard crawling back to the ESA? Its high profile exit from the group in 2008 came at a time when the company was at the peak of its performance. Times are different now though. World of Warcraft subscriptions are dwindling, Call of Duty sells less and less every year, and Guitar Hero has been put on hiatus. One has to wonder if rocky times are ahead for the giant or if it simply became too big for its own boots. Regardless, ESA President and CEO Michael D. Gallagher praised both companies for their acceptance into its ranks. "These highly innovative companies offer compelling and influential video games and game content to millions of players across the globe. Activision Blizzard and Tencent have established worldwide reputations as producers of world-class interactive entertainment. We are eager to work with both companies as they continue to grow their global interactive and entertainment services." The ESA acts as America's biggest lobbyist groups for video games. It organizes E3 every year and is involved deeply with video game legislation. More often than not, it finds itself in 1st Amendment issues regarding games' ratings. Leading Game Publishers Strengthen Association's Diversity Across Game PlatformsWashington, DC – July 8, 2013 – The Entertainment Software Association (ESA) announced today that Activision Blizzard, Inc. and Tencent have joined the trade association. They increase ESA's membership to 37 companies, and bolster its representation of diverse businesses that drive advancements across all game platforms in the evolving marketplace. "These highly innovative companies offer compelling and influential video games and game content to millions of players across the globe," said Michael D. Gallagher, president and CEO of ESA. "Activision Blizzard and Tencent have established worldwide reputations as producers of world-class interactive entertainment. We are eager to work with both companies as they continue to grow their global interactive and entertainment services. "Activision Blizzard is an international online, PC, console, handheld, and mobile game developer and publisher with leading market positions across every major category of the interactive entertainment software industry. In addition to offering exclusive content for game consoles and computer games, the company is one of the largest third-party video game publishers in the world; titles include Activision Publishing's popular Call of Duty and Skylanders franchises and Blizzard Entertainment's World of Warcraft, StarCraft and Diablo franchises. Founded in 1979, Activision was the first independent developer and distributor of video games for game consoles. 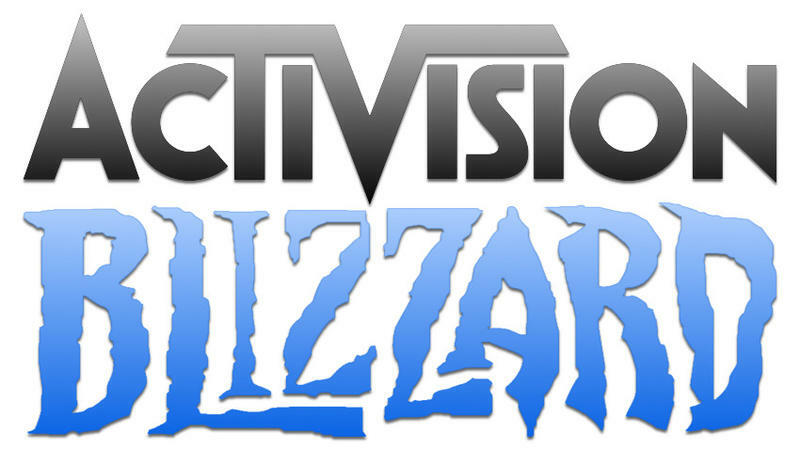 Activision Blizzard maintains operations in 17 countries, including the United States. "We are excited to join ESA," said Chris Walther of Activision Blizzard. "ESA has a long track-record of supporting its members and the video game industry, and we look forward to sharing our unique perspective and experience with them." Tencent uses technology to enrich the lives of Internet users. Hundreds of millions of people communicate, share experiences, consume information, seek entertainment, and shop online daily through its integrated platforms. It serves the largest online game community in China with a diverse online games portfolio including the QQ Game Platform, advanced casual games and massively multiplayer online games. In addition to online games, its services include QQ, Weixin and WeChat for communications; Qzone for social networking; internet service portal QQ.com; and the eCommerce open platform. Founded in 1998, Tencent has steadily grown to become one of the leading providers of comprehensive Internet services. "ESA supports and cultivates collaboration among member companies," said Gordon Bellamy of Tencent. "We are excited to join an association that promotes the development of the U.S. game industry as we are exploring more opportunities in this market."